Chris Scott Barr | OhGizmo! By Chris Scott Barr on 02/14/13 • Leave a comment! When you think of a keyboard, you probably think of a pretty standard hunk of plastic with roughly 108 keys. Now if we’re talking about a gaming keyboard, there might be a few extra buttons and some lights to change things up. 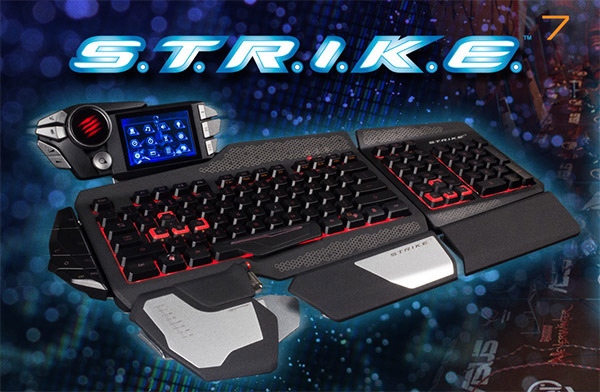 However, I bet that you wouldn’t have dreamed up anything close to the S.T.R.I.K.E 7 keyboard from Mad Catz that’s pictured above. This monstrosity is unlike any other keyboard that I’ve ever seen. It actually breaks apart into seven different pieces (hence the number 7 in the name), to allow for maximum customization. You can move the number pad to the left side, or separate it from the rest of the keyboard entirely. There are three different wrist rest pads that can be moved to different areas. Of course, the thing you’ll notice most is that there is a 3.5-inch LCD screen sitting at the head of the unit. 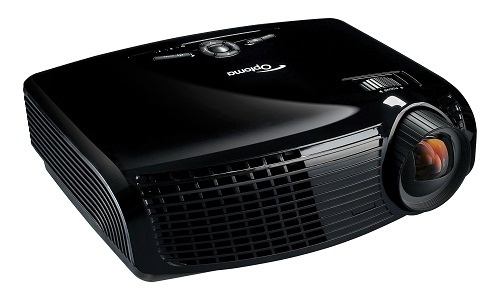 This allows you to perform a variety of functions, including controlling things like volume and media on your PC. You’ll also be able to view menus for a TeamSpeak server, and use up to 36 different macros on this touchscreeen. 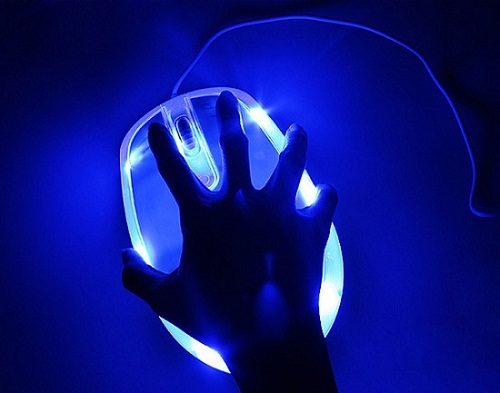 So what is the price for this crazy keyboard? $300. This makes it one of the most expensive gaming keyboards on the market. If you’re wondering whether or not it’s worth the price, check out the full review over at GamerFront. By Chris Scott Barr on 03/07/12 • Leave a comment! Vacuuming is a normal, everyday chore that needs to be done to prevent your house from looking like slobs live there. The only problem is, it takes forever to get the regular junk off the floor, let alone all of that teeny tiny debris that has been ground into your carpet for who knows how long. Which is why having a good quality vacuum will make things that much easier on you and your household. 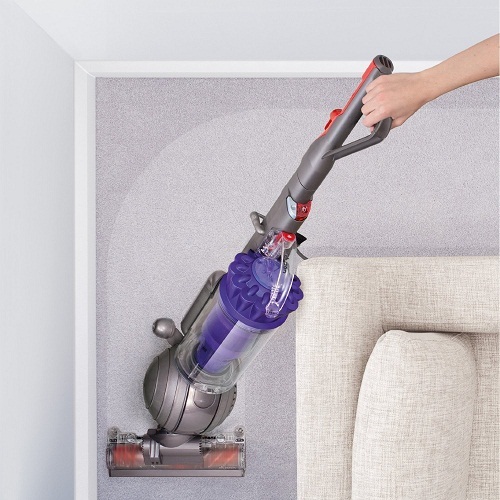 If you hear Dyson, and vacuum being used in the same sentence, there’s a good chance the topic is about how well they work, and that whole, “never losing suction” thing. As a cleaning aficionado (aka neat freak), I was certainly intrigued by all this talk of fancy vacuums, and wanted to see if they were up to par. Lo and behold, a Dyson DC41 Animal arrived on my doorstep, and the results were astonishing. This vacuum is appropriately named “Animal” as it simply amazing at picking up animal hair. It’s suction powers have the capabilities to pick up the normal stuff, and even somewhat remove what one might think were stains. It can easily move from carpet to hardwood floors without sucking up the carpet, and it has kept its word of not losing suction. 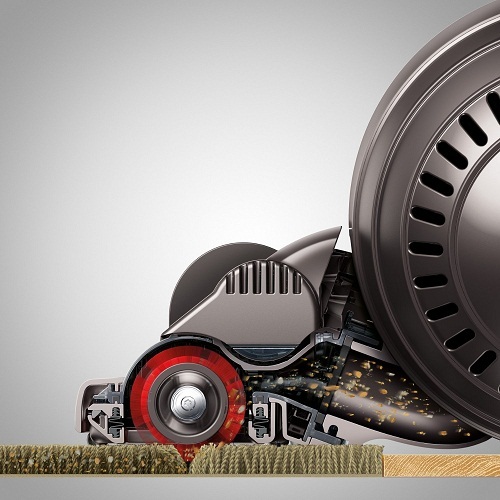 Any old regular vacuum can only move back and forth, but with the ball design, you can flawlessly roll and pivot around any obstacles you may face. The ball does make it a bit bigger than other vacuum heads, which makes it difficult to vacuum under things, unless you get an additional attachment. However, it still does it’s job quite well, so that’s not as much of an issue. Assembly is super quick, with only three main pieces to put together. The canister for this vacuum is rather large at 0.55 cu. ft., the hose can go to the top of the stairs, so there is no lugging involved, and it’s rather lightweight at only 17.4lbs. Not to mention the cord is exceptionally long, which is great for anyone who lives in a larger home. You’ll only need one outlet per floor, which is a pleasant thing, as you would normally have to hunt to find optimally placed plugs in the wall so you don’t have to spend time plugging and unplugging the cord. It does make a bit of a racket, but it’s no worse than any other type of vacuum. Although it is pretty energy efficient, keep in mind that this is pretty heavy duty vacuum, so having multiple appliances still plugged in is not the best of ideas. Unless of course you want to blow a fuse. Having experienced both bagged and bag less vacuums in the past, it was nice to know that the canister was going to be a mess to clean out or smell after multiple usages. The canister empties out at the bottom, which although very convenient, was not apparent to me in the beginning. (oops!) Overall, this is a great vacuum, and has very few flaws. It’s weight, although very light, may be a bit much if you can’t lift more than 10 or 15 pounds, but I would definitely recommend it to others, provided you’re willing to dish out $600. However, I’d much rather spend that, than buying and replacing cheaper ones that won’t last, or perform nearly as well. There are a lot of ways to communicate with someone who’s not right next to you. You can call their phone, send them a text message, email, or even a letter. Heck, you can try yelling if you really want to. But wouldn’t it be cool to send them a message by bird like they used to do back in the olden days? Yeah, good luck finding a bird that’ll actually take the job. The closest thing you’re going to get is one of these Chuckimals. These plush birds won’t fly, but they’ll still carry a short message. Just press the button on the recorder, then chuck it at your intended recipient. Once the bird slams gently into their head, it will repeat your message, not unlike some birds out there. The person can then reply in the exact same manner. 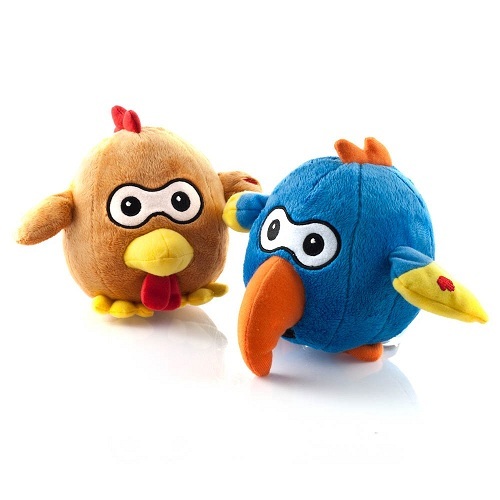 You could have entire conversations by stuffed bird! Just $19 gets you your choice between a chicken and a parrot. It’s a little sad that we live in a world where we constantly worry about someone stealing our possessions. 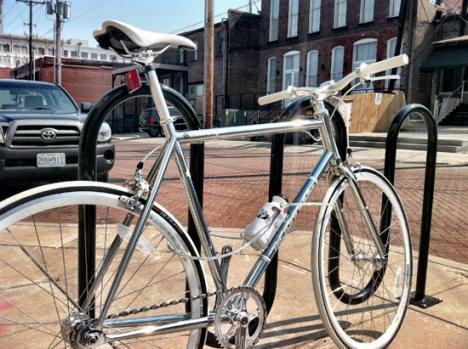 After all, it’s a hassle to lock up your bike every time you need to park it somewhere. I mean, you could risk it and just not bother, but if it does get stolen, you won’t be happy at all. Wouldn’t it be better to just deal with having a lock? Heck, you could even get an inconspicuous one like this Bottle Lock. The bottle lock looks much like an ordinary water bottle, and fits in the appropriate holder found on most bikes. Just pull out the 5′ cable, loop it around something sturdy (don’t forget to loop it around the bike frame) and then lock the end back into the “bottle.” If you’re wearing a pair of those tight bike shorts and don’t have room for your keys or cash, there’s even a place in the bottom to store small items such as those. At $34, it isn’t going to cost much more than an ordinary lock, and looks a lot better when not in use. What is the worst thing that could possibly happen to you? If you answered “my cell phone could die and I don’t have my charging cable on me”, then you might want to rethink your priorities in life. You also might want to look into this clipSYNC from Scosche. This carabiner does more than just clip your keys to your belt loop. 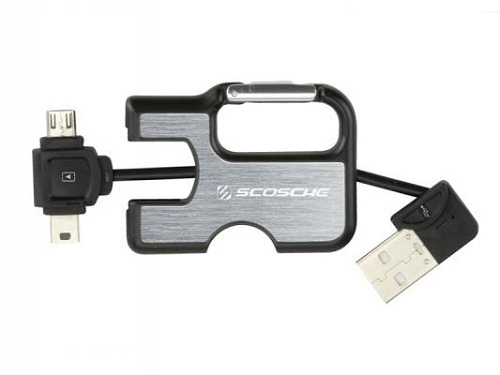 Two piece flip out to expose a standard USB plug and either an iPhonedock connector or both a miniUSB and microUSB plug. This allows you to use any nearby computer to charge your phone (or other device that uses these connectors) in a pinch. The nice thing is that due to the small size, you can carry it around all the time. You can get either version for just $20. “I’m sorry Dave, I’m afraid I can’t do that.” These are words that almost every geek knows, and hopes that they never hear from a computer system. If they don’t ring a bell, they were the ones uttered by HAL 9000 to Dave Bowman in 2001: A Space Odyssey. HAL was an intelligent computer that was capable of making decisions, as well as (usually) following commands. Naturally, since Siri was introduced earlier this month, there have been a lot of HAL references. In fact, if you ask her about him, she will refuse to discuss the matter. 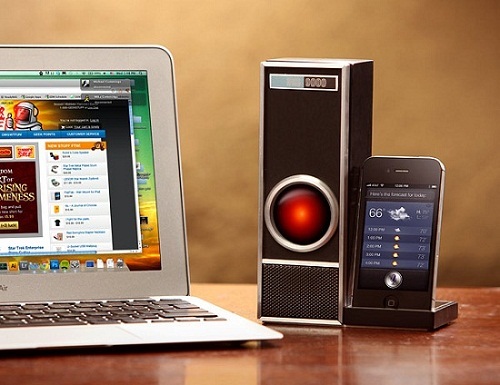 Well thanks to the bright minds at ThinkGeek, you’ll soon be able to transform Siri into HAL. This IRIS 9000 docking station features a remote with a single button that activates Siri. The station’s built-in microphone will pick up your voice commands, and Siri will respond as usual. The only difference is that the light in IRIS’s eye will flicker while she speaks. I don’t know about you, but I find that both creepy and awesome. For $60, this will also act as a normal docking station, a speakerphone and music player. When anyone asks what my favorite childhood toys were, I almost always refer to my LEGOs. It’s a pretty obvious choice, as I easily spent more time with them than anything else, and I still keep some in my office to this very day. I don’t really build my own creations anymore, as I don’t have time to sift through hundreds and hundreds of plastic pieces looking for that special brick. Then again, with this BOX4BLOX I might not have to. 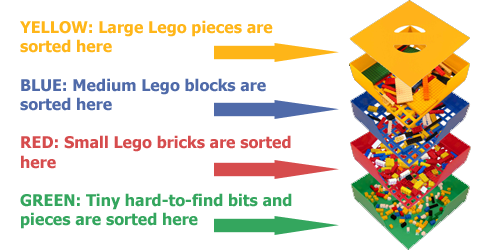 Using a series of boxes with incrementally-sized grids in the bottoms, this contraption will actually help you sort your LEGOs in short order. Now it won’t organize them in to specific brick piles, but it will sort them into four different sizes. Just start piling some bricks into the top box, then shift them around until the smaller ones fall through. Keep shaking it until you’re satisfied that the majority of the smaller pieces have fallen to the appropriate level. Rinse and repeat until you’re finished. This $40 sifter will hold roughly 1500-1700 of your favorite bricks.